The Gore ALP-X PRO Outfit System (left) consists of a WINDSTOPPER jersey and 2in1 Shorts+. After two months of hard use, the ALP-X PRO 2in1 Shorts+ (right) have suffered no visible wear (click to enlarge). Consisting of 2in1 Shorts+ and a WINDSTOPPER convertible long sleeve jersey, the ALP-X PRO Outfit System from Gore Bike Wear recently won the prestigious iF* Product Design Award 2015, cited by 53 design experts for the product’s quality, innovation, functionality and ergonomics. The ALP-X PRO Outfit System is designed to be the go-to jersey and shorts combo for a wide range of temperature and weather conditions. But design awards aside, do the ALP-X PRO 2in1 Shorts+ outperform traditional mountain bike baggies with a Lycra liner? And is the WINDSTOPPER jersey all you need on a long day of riding in a wide range of temperatures? Read our full review below to find out. Lightweight, breathable and integrated baggy shorts make the 2in1 Shorts+ a standout performer (click to enlarge). Every so often there’s a piece of cycling apparel that comes along and makes you wonder, “Where has this been all my life?” The Gore Bike Wear ALP-X Pro 2in1 Shorts+ is just that. Essentially taking a pair of Spandex bib shorts and stitching on an extremely lightweight and breathable baggy short outer, the ALP-X PRO 2in1 Shorts+ brings together the light, comfortable feel of traditional cycling bibs with the casual look of mountain bike baggies. Only with these shorts, there is no waistband, no zipper and no buttons that add weight and compromise fit. Having the baggies integrated into the bibs ensures a lightweight, breathable and supremely comfortable fit. Since receiving these bibs, I’ve been doing a lot of laundry because the ALP-X PRO 2in1 is the only pair of cycling shorts I wear anymore. My mountain bike baggies are collecting as much dust as my roadie bibs. In fact, the Gore shorts are so comfortable I wear them on most road rides, too. Yeah, I’m that guy rocking baggies on a road ride; something I swore I would never do. That’s how good the ALP-X PRO shorts are. I’m always cautious about making absolute statements about any cycling product, but I won’t hesitate to say that these shorts from Gore are by far the best cycling shorts I’ve owned. They don’t catch on the nose of the saddle, have a casual baggy short look, keep you warmer and drier on wet, cold rides, and most importantly, on super hot days, they feel as light and breathable as a traditional pair of bib shorts. In two months of heavy usage, I haven’t experience any discomfort or chafing, and the baggy outers remain abrasion-free. Perhaps the only drawback of the ALP-X PRO 2in1 Shorts+ is that to keep them super light and breathable, there are no pockets aside from one very small pouch stitched into the bib just above the lower back. But a jersey with pockets, a hydration pack, or a small fanny pack takes care of that problem. Besides, I hate riding with stuff in my shorts pockets. Additionally, these shorts might be a little too short for the true downhiller, as the baggies tend to ride up the leg, exposing the Lycra base short. 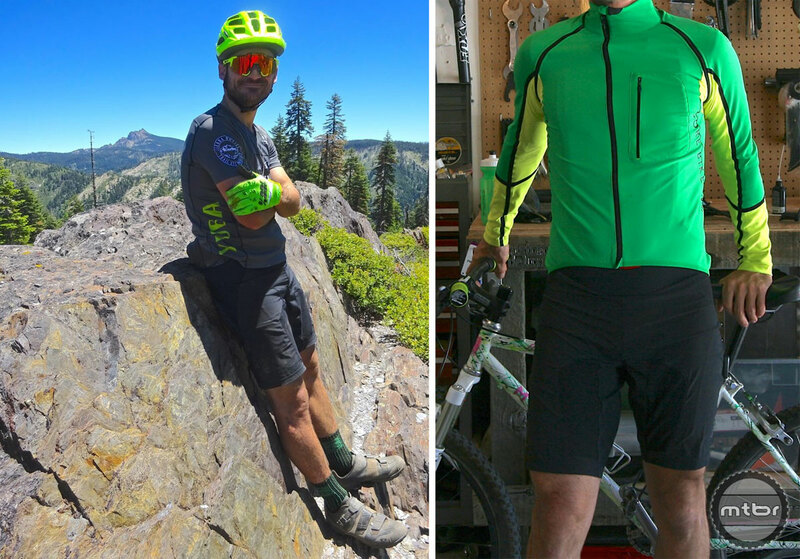 But if you come from a road or XC racing background and now do big backcountry rides, stage races, or even enduro events, these shorts are in a league of their own. Kurt Gensheimer thinks the bicycle is man’s most perfect invention. He firmly believes ‘singlespeed’ is a compound word. He sometimes wears a disco ball helmet. He is also known as Genshammer. He is a Gemini and sleeps outside in a hammock. I don’t care if the shorts are refrigerated, I’m never paying $220 for something that I could get for $25. I would spend money on my bike first. Gotta hand it to the industry players, they’ve pegged cyclists for the suckers they are! Have fun with your $25 riding shorts. Your wallet might be happy, but your taint definitely won’t. I recently purchased the Gore 2in1 shorts and liked them so much I picked up a second pair (shop around, you can find them for 25% off online). I just got back from a 10 day mountain biking trip in Snowmass, Aspen, Beaver Creek, and Vail and these were all I wore for all my rides. Super comfortable, versatile in changing weather conditions, and they don’t catch the nose of my saddle (something I’ve struggled with when wearing other baggies). The chamois is also quite good. 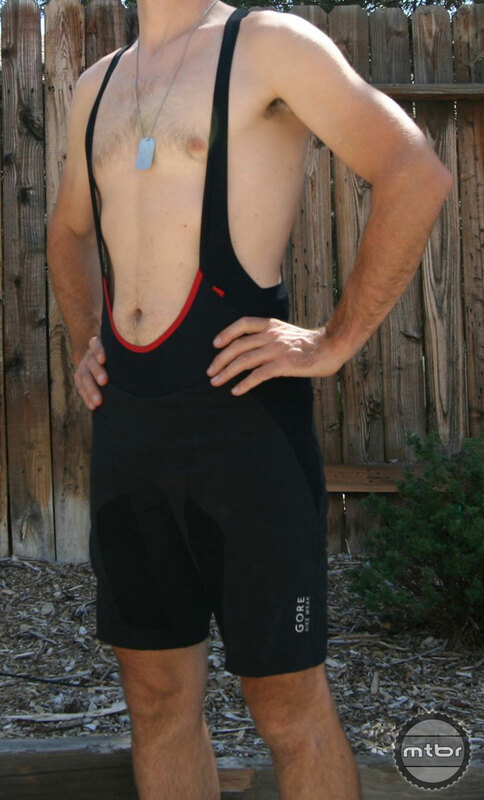 Not quite as padded as some of the Assos ones, but I did multiple 4 – 5 hour rides and had no issues. I did wreck once and put a small hole in the front leg of the short from a rock. No big deal and doesn’t impact performance, but they aren’t bullet proof. These are definitely the best mountain biking shorts that I have owned. I went with a Gore Alp-X 3.0 short sleeve jersey to wear with the shorts. I also have found this to be excellent with lots of pockets and a slightly looser fit. It has a pocket on the lower left side that fits my Samsung Note 4 phone. This worked out perfectly in Colorado as I ride using the MTBProject app and fairly frequently would pull the phone out to check the maps. Separately I wore Giro’s Terraduro shoes with the outfit. They were perfect for these rides that often had some hike-a-bike segments. Early models of these shoes suffered from delamination issues, but this issue seems to have been resolved. During 10 days of hard riding the shoes have held up perfectly and were super comfortable.